Manor House was one of 33 schools across the country who received a National Wellread Award on 12 October at City West hotel. The Laureate na nÓg PJ Lynch presented the awards. Ciara O'Donnell, Director of the PDST, joined the Manor House group in a photo (above). 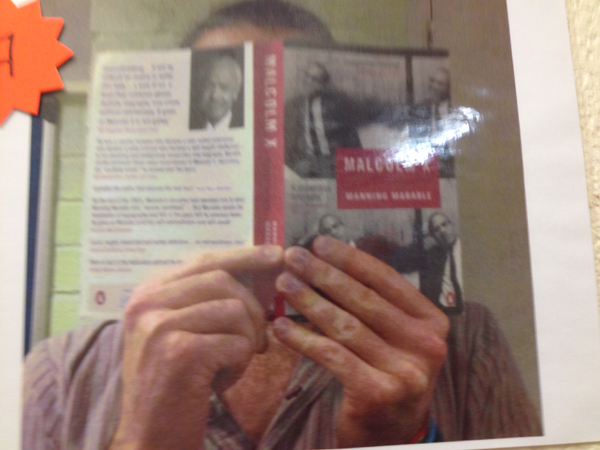 The Wellread project began in Manor House last year to encourage a reading culture within our school community. Well done to Ms Doherty, Ms Grills, Ms Costello, Ms Conerney, Ms Fagan and Ms Keogh for putting in so much work! We commend our wonderful students, Ruth Colbert, Ewa Gryzbowska, Sophie Hijazi and one of our hardworking parents, Mrs Colbert, who contributed in a very practical way to this achievement. Of course, the refurbishment of the library was very much a part of our attempt to win this award, so we recognise and appreciate the skills of Mr Cox and Mr Conroy in creating a bright new space for our Wellread HQ. Take a bow, everybody! Thanks to 2nd years Aoife O'Dwyer, Catherine Grogan, Chloe Riddell, Jennifer O' Reilly, Jennifer O'Bien and Nicole Callan who read so well from a selection of novels and poetry which reflected the spirit of the occasion. We look forward to a more formal opening in September 2016. The school is very appreciative of the Trojan work being done by Ms Doherty and Ms Grills in this massive project. Take a bow, ladies! Finally, let's give a pat on the back to the winners of the Manor House Creative Writing Competition who were announced at today's event. Their stories will be accessible shortly, on this website. 1st Prize was awarded to Eabha Murphy (1st year) for 'Witchcraft' . The Manor House Parents' Association organised a table quiz to raise funds for our school library. It took place on Thursday 5 May in Raheny GAA club at 8pm and raised €1237.60. 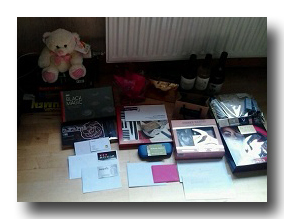 Thanks to all who donated spot prizes (see picture) and who participated in the quiz! 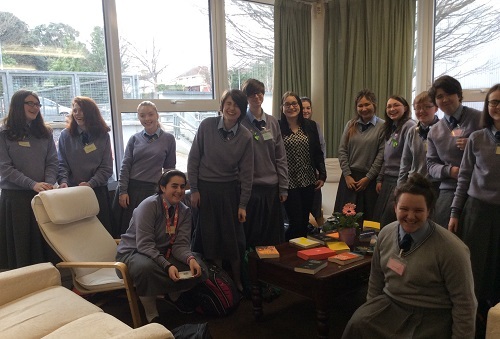 The book club was delighted to welcome former pupil Jacqueline Murphy on Tuesday 8 March. Jacqueline works for Eason and Son and is a key figure in deciding what books for Teens and Young Adults we see on Easons' shelves. An avid reader herself, she shared lots of insights into the world of book publishing. She recommended authors and books that we might be interested in reading and even brought in some books for us to read. We so appreciate her taking the time to talk to us and we hope that it is not the last time she comes to visit. We will soon make available a list of books recommended by Jacqueline and the book club in case you are looking for a good read over the Easter and summer holidays. A big thank you to Ms Grills for organising the event. (c) the top of the head of the person reading the book. Thanks to Ms A Grills for coming up with the idea, taking the photos and organising the competition. Find out about the PDST National WellRead award here. 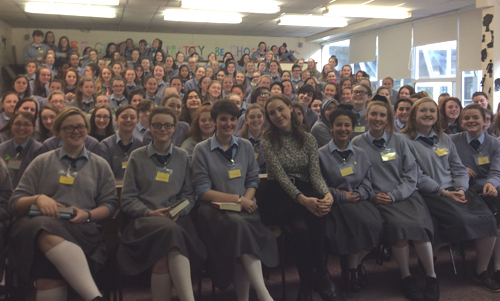 On 20 November 2015 Manor House was delighted to welcome to Manor House the award winning Irish author Louise O'Neill. Louise writes primarily for young adults and has a strong focus on feminist issues. Her debut novel, 'Only Ever Yours', describes school life for girls in a dystopian future where image and physical beauty is everything. More recently, in September, she published 'Asking For It' and has already won several awards for this novel. It was the Irish Times Book Club choice in September 2015. Students made a huge effort to decorate the school for the event and after talking to the girls Louise posted photos of their work on Twitter. Many thanks to Ms A Grills for organising this event.